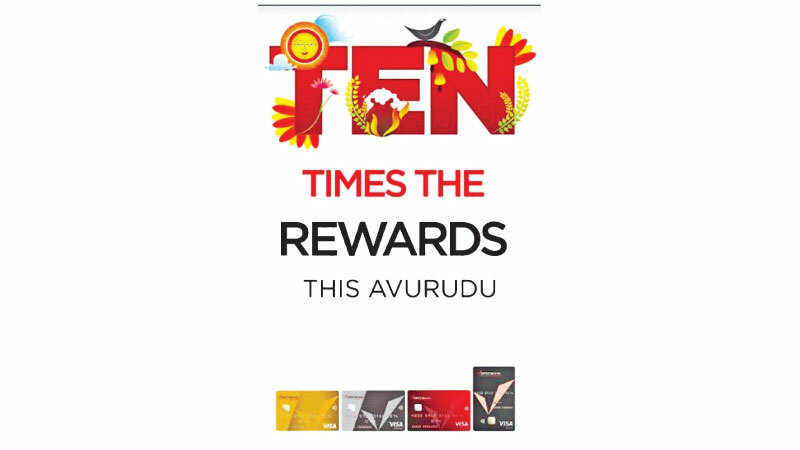 Committed to spreading joy this Avurudu season, DFCC Bank is offering customers the opportunity to enjoy ‘10 Times the Rewards’ to make this holiday period truly special. DFCC credit cardholders will receive 10 times additional CashBack on clothing, supermarkets, hotels, airlines and fuel when they pay with their card and enjoy a memorable season. Cardholders will also enjoy discounts at leading merchants across Electronics and Household; Holiday and Travel; Health and Well-being; Jewellery; Clothing and Accessories; Restaurants; Supermarkets and Leisure categories. Thereby, DFCC Bank credit cardholders receive a golden opportunity to save more as they swipe. Some of the attractive offers that cardholders can enjoy include; Upto 40% discount at Cinnamon Group’s luxurious properties at scenic spots around the island; 10% off on selected pieces at Mallika Hemachandra Jewellers whilst Fior Drissage is offering an amazing 50% on any piece of jewellery; 25% and 10% off respectively on selected items at Arpico and Keels supermarkets; Buy 1 get 1 free offer to watch the latest movies in town when you book via DFCC credit cards at EAP Films and Theatres; special offers at Dominos, along with discounts at Tsing Tao and Pastamania; discounts from leading fashion outlets such as Kelly Felder, Cool Planet, DSI, Spring and Summer and many more.